The failure to attract even one binding offer for a majority stake and the management of Hellenic Petroleum (HEL.PE S.A), the biggest petrochemical concern in Greece and one of the biggest in SE Europe, reverberated across the country's business world on Thursday, while casting yet another shadow over the Tsipras government's credentials to push through strategic privatizations, naftemporiki.gr reports. The international tender deadline for bids to acquire a 50.1-percent stake in Hel.Pe expired on Wednesday, with two suitors that had initially expressed an interest - Glencore and Vitol - eventually refusing to table an offer. Alliances with Carlyle and Algeria's Sonatrach by the respectively suitors apparently failed to allay investors' concerns over tender conditions and the international energy situation. Despite the fact that the partially state-owned Hel.Pe group posted record earnings and turnover during the past four years, market analysts pointed to a clause giving the minority shareholder in the post-acquisition period - i.e. the Greek state - what essentially amounted to a veto over the new owners' strategic options. The Greek state also wanted a greater representation on Hel.pe's future board of directors, larger than in relation to what its share of the group would have totaled. 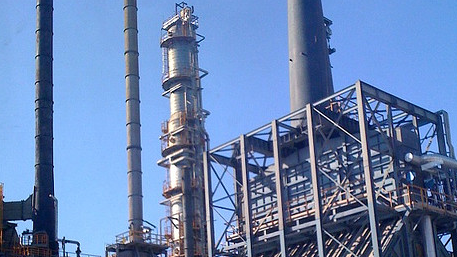 A terse announcement on Wednesday evening by the memorandum-created privatization agency (HRADF), which also owns a sizabe stake of Hel.Pe and shepherded the international tender for the petrochemical group, merely referred to "reasons that affect the candidate investors themselves and recent developments in the international scene, which influence the consortia". The reference was attributed to a recent "velvet" coup in Algeria as well as a subsequent government shakeup, which is judged to have negated Sonatrach's interest in the deal. Other conditions in the tender that reportedly caused would-be investors' apprehension referred to an obligation to remain listed on the Athens Stock Exchange (ATHEX) and to keep the group's headquaters in Greece. Another condition, according to media reports, that bothered would-be suitors were mandatory production levels for refineries. Sources close to HRADF, speaking a day after the unsuccessful tender, merely noted the fund's leadership was not willing to bow to would-be bidders' demands. The negative development follows another failed tender, one aimed at selling off 3+1 lignite-fired units operated by the Public Power Corp. (PPC). An earlier effort to privatize the natural gas grid operation (DES.FA) also collapsed. All of the abovementioned privatizations are included in memorandum agreements and must be implemented by Greece in the post-bailout period.